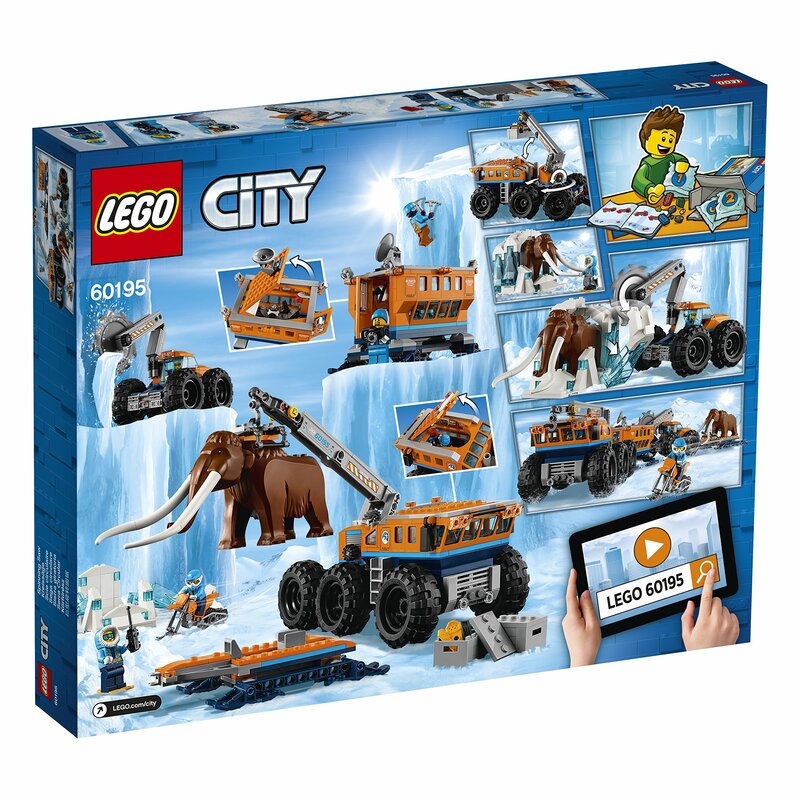 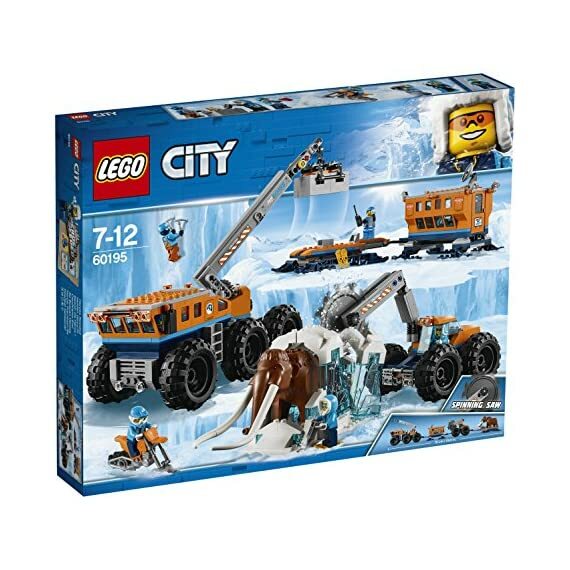 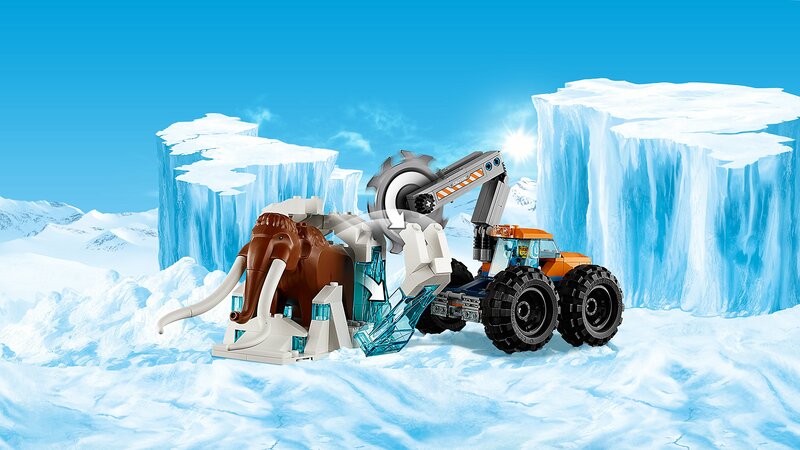 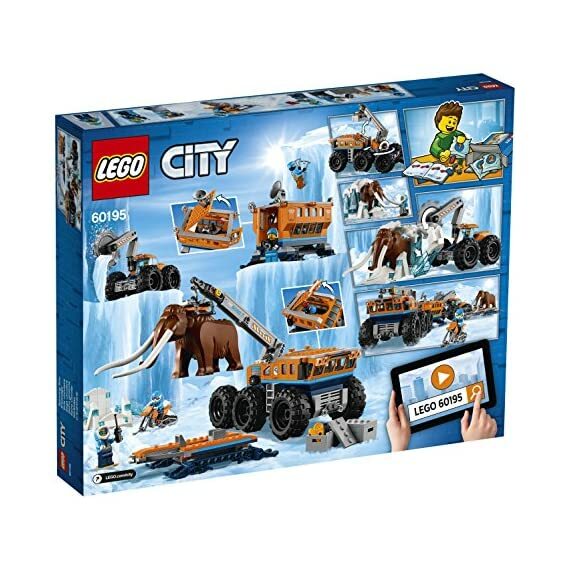 Investigate finds on the go with the LEGO City 60195 Arctic Mobile Exploration Base. 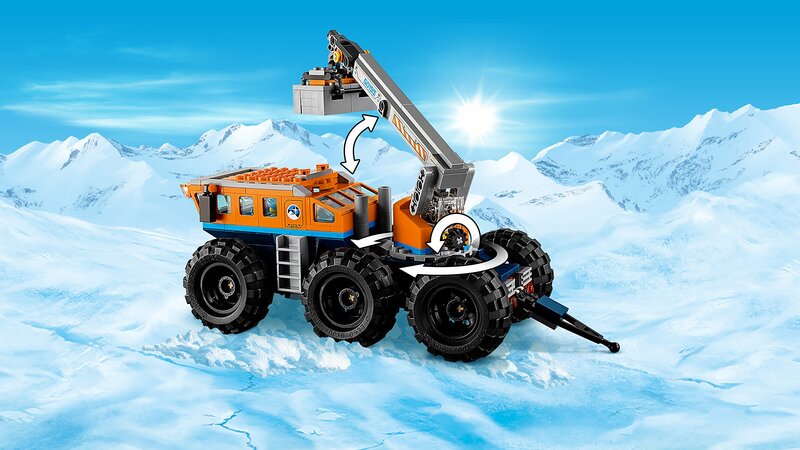 This fun set features a crane with posable arm, hook, platform and a trailer, plus a mobile lab unit with radar dish and opening door. 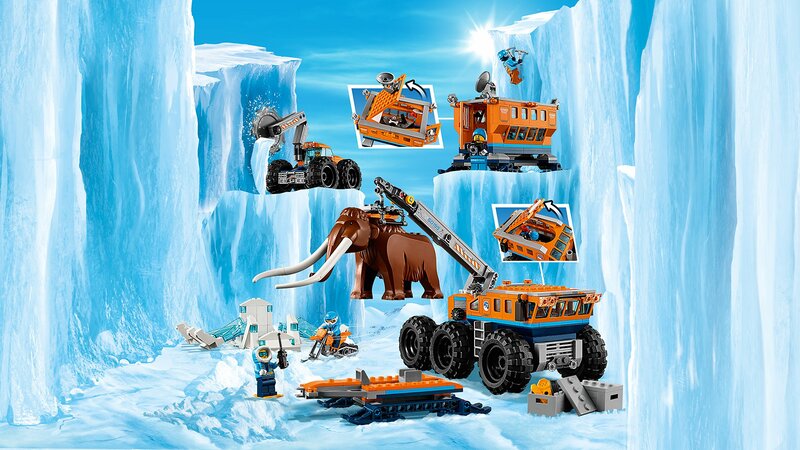 Also includes a mobile saw vehicle with posable arm and rotating blade, plus a snow bike and a large ice build to hold the mammoth. 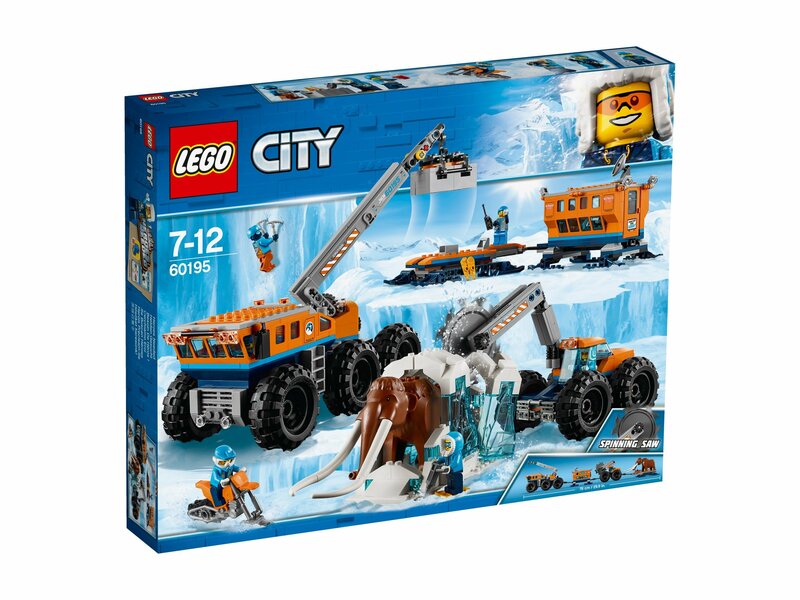 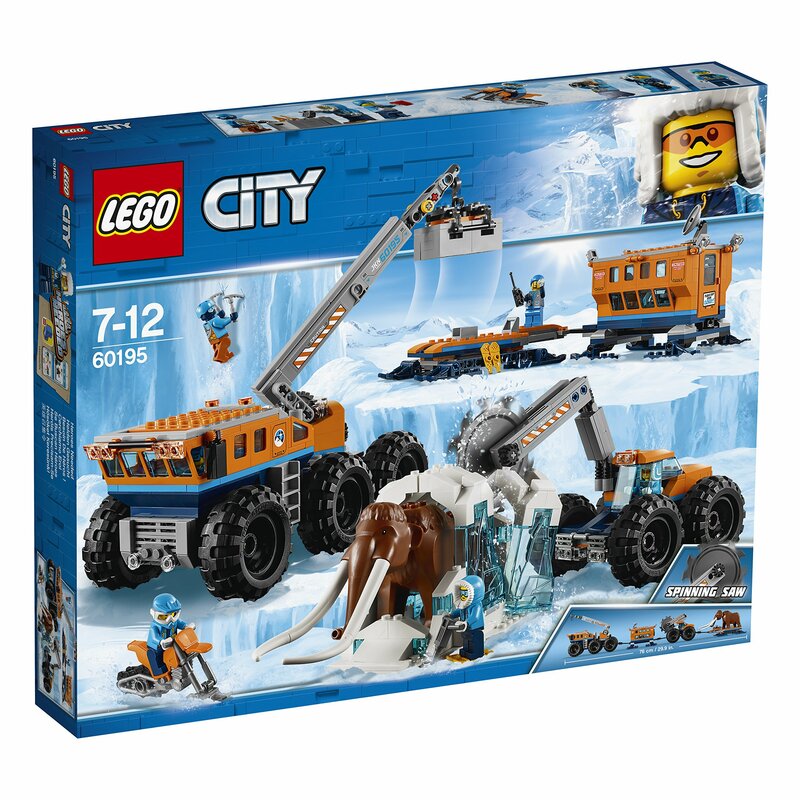 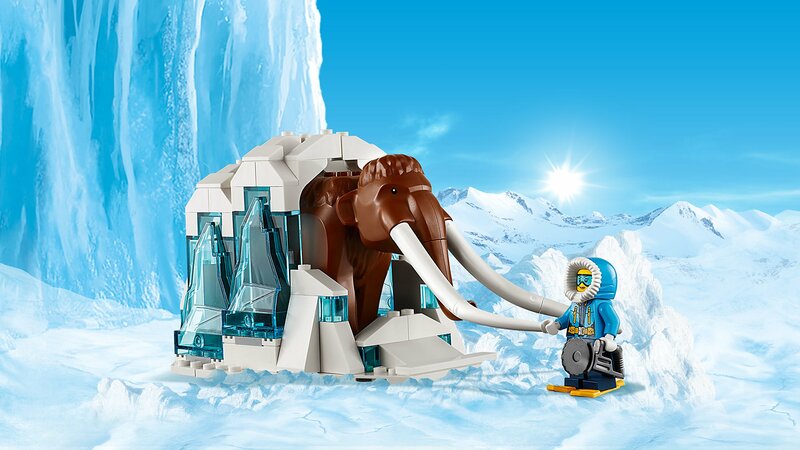 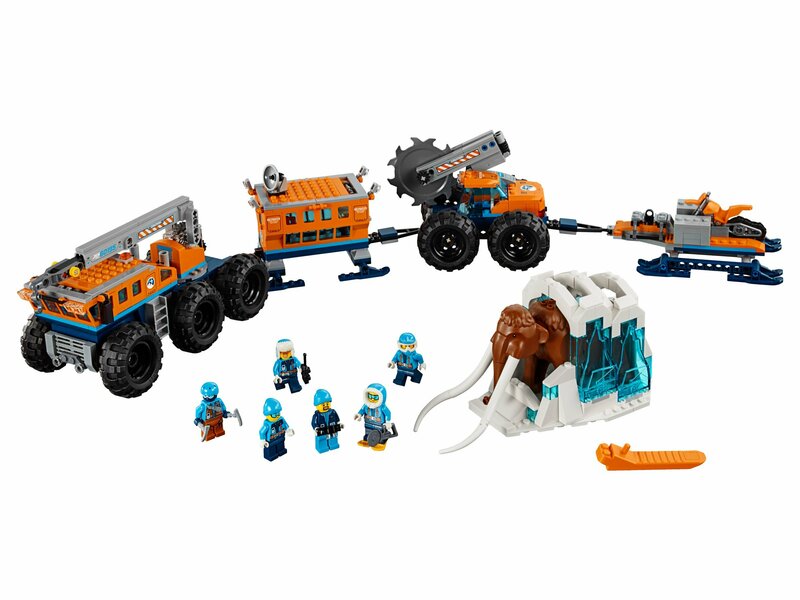 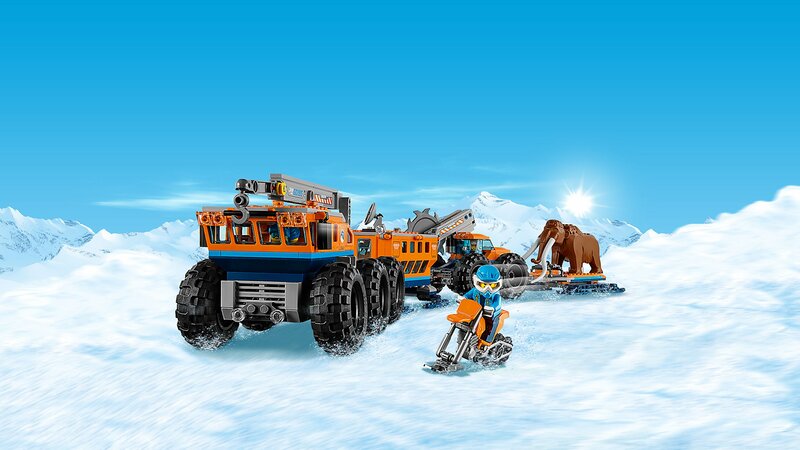 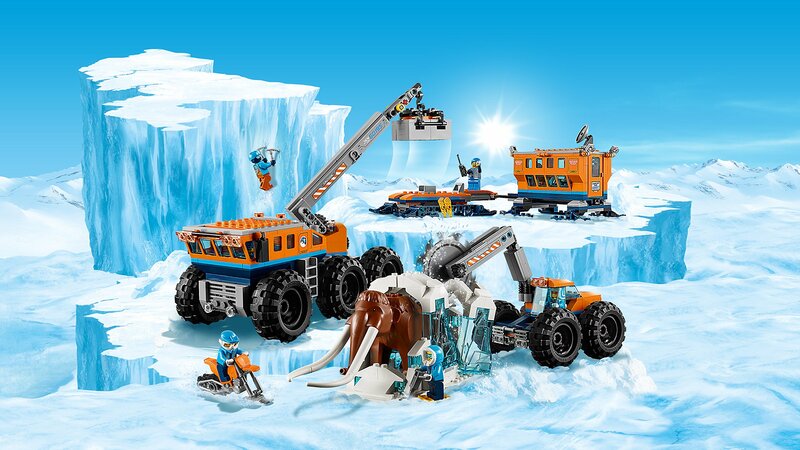 This arctic expedition set includes six LEGO explorer minifigures and a mammoth figure.